Samsung is working on some new devices in different segments. The latest information we have is about the upcoming Samsung Galaxy A20. 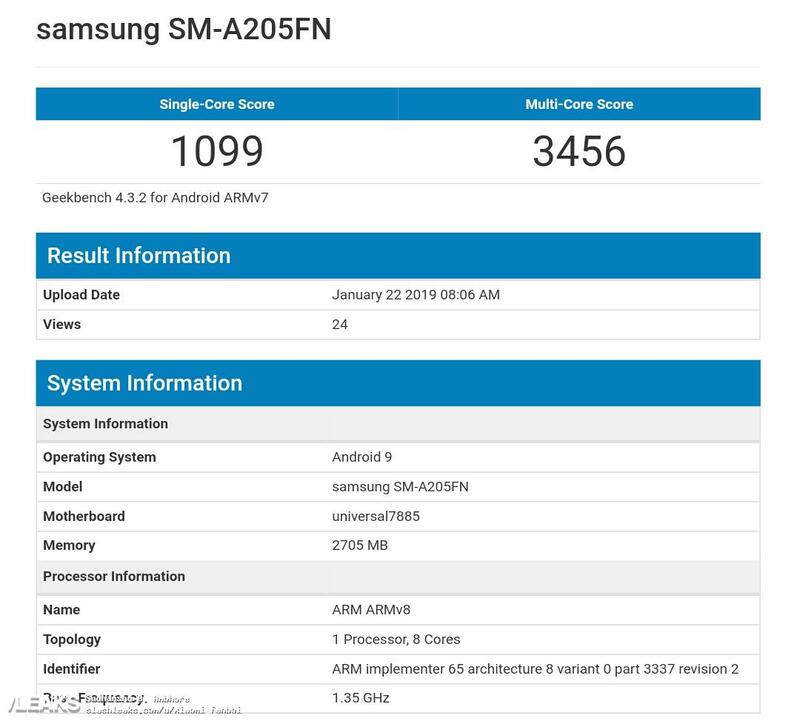 The upcoming Samsung Galaxy A20 smartphone is now spotted passing through the benchmarking site Geekbench. As per the Geekbench listing, the Samsung Galaxy A20 comes with 3GB of RAM in it. The device also comes equipped with an Octa-Core Samsung Exynos 7885 SoC in it.